Pengo’s drilling construction products meet the needs of landscapers, nurseries and construction companies of all sizes small and large. Our assortment of durable products is intended for the professional that requires high productivity. Our products outfit a wide variety of prime movers within the construction industry, including skid steers, backhoes and excavators. 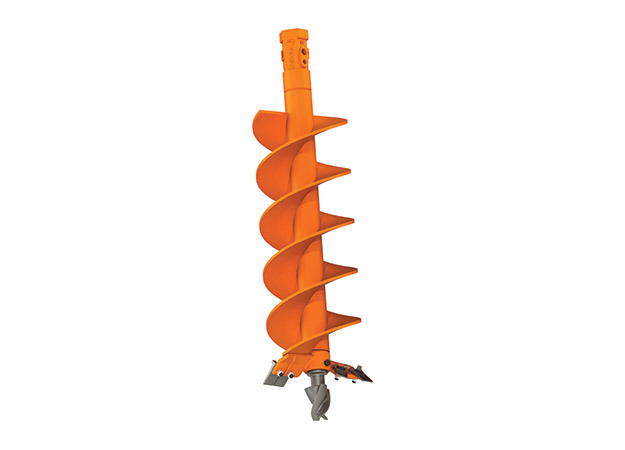 The Aggressor® auger is a professional-grade tool designed for daily and constant drilling. The TriFlow® pilot bit provides unmatched auger stability, and the 40/50 auger teeth add the needed wear resistance required for professionals. The Aggressor can be converted from a dirt auger to a rock auger utilizing the patented and industry-first BoRH® system.